You are currently browsing the daily archive for July 19, 2011. 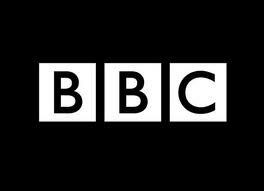 The BBC this afternoon requested a response to some questions arising from the latest report on Sri Lanka issued by the International Crisis Group. This had to be produced on a blackberry, since I was traveling, but given the reptilian viciousness of Nagini Keenan, who covers Sri Lanka for ICG (and the fact that he now twitters), it seemed best to provide some answers, however hastily. The three queries are each followed, in quotation marks, by the passage in the ICG report to which they refer, and then my responses. At the end I make a brief comment about another passage from the Report. BBC – The ICG report says the SL govt has destroyed the LTTE by “adopting the insurgents’ brutality and intolerance of dissent”. Please respond/comment. A most nonsensical statement. The more conciliatory approach of previous governments was traduced by the Tigers, who used this to build up their strength and broke agreements arbitrarily with exceptional brutality – the killing of policemen who surrendered and the massacre of Muslims in the East and ethnic cleansing of them from the North. Sri Lanka is a parliamentary democracy which saw massive criticism of the government throughout the conflict in Parliament (including by LTTE surrogates the main Tamil political party finally parted company with after the destruction of the LTTE) and forceful attacks on government policies as well as practices by many media groups, some of which had nothing positive to say. This approach continues. Clearly Alan Keenan, who has been responsible for Sri Lanka throughout, and wrote the speech in which Gareth Evans had to confess he did not know the reasons for the generalizations he made, has no idea as to what totalitarian brutality means.